Who do you love and how much? 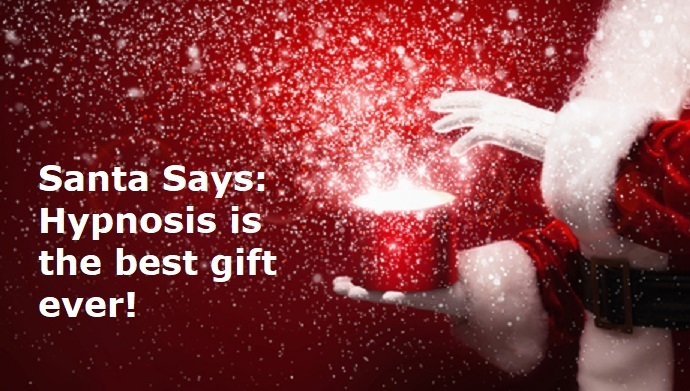 Give them the best gift ever – skilled NLP & hypnosis. Running out of gift ideas? Your loved ones already have every kitchen do-dad, electronic gadgetry, or sweater they need? Here’s a novel idea! Give them Neuro-Linguistic Hypnotherapy! This time of year I get several requests for Mindworks Hypnosis & NLP gift certificates — prepaid sessions that you can gift to those you love for the holidays! I’m happy to do that. I agree with Santa! 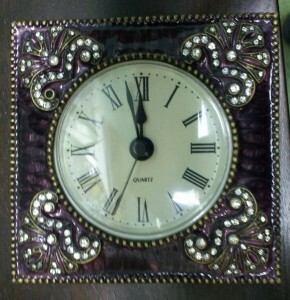 This gift –life improvement, and life empowerment towards goals–is beyond price! What’s a happier and healthier life worth? What’s a longer life worth? If someone you know and would love to help has FINALLY decided to make healthy changes, let me help, too. Gift them my time and expertise. I’ll help them quit smoking. I’ll help them love to choose healthy eating. I’ll help them create any kind of success they want. It is that time of year. Sharing the love. Nothing says love clearer than wanting a better life for someone. I’m happy to explain my services anytime. I do offer a free in office consultation. Yay! Another award! 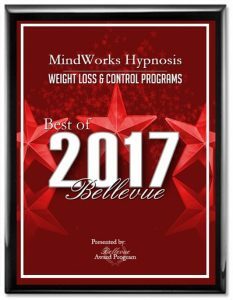 For the 7th consecutive year, Mindworks Hypnosis & NLP has been awarded “Best of Bellevue” in the category of weight loss and control program. 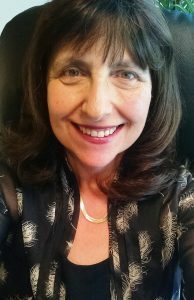 I’m Connie and I bring my personal expertise with this issue (I had a life long weight problem before I solved it with hypnosis) to my client work. I KNOW the ins and outs of weight gain and weight loss and healthy choices and unhealthy choices. I guide people to healthy. In the video below, I share my “before” and “after” hypnosis for weight management photos. Dramatic changes! Hypnosis is an amazing tool to help. NLP is a high tech supercharged hypnosis. In my office, we use both to get you to your healthy body and lifestyle. Learn more anytime. We do offer a free in office consultation. Claim yours today! With the BC wildfires burning and blowing haze and smoke into our world here in the Seattle area, the LAST thing you need to be doing is adding your own smoke to the mix. It’s hard enough to breathe out there. 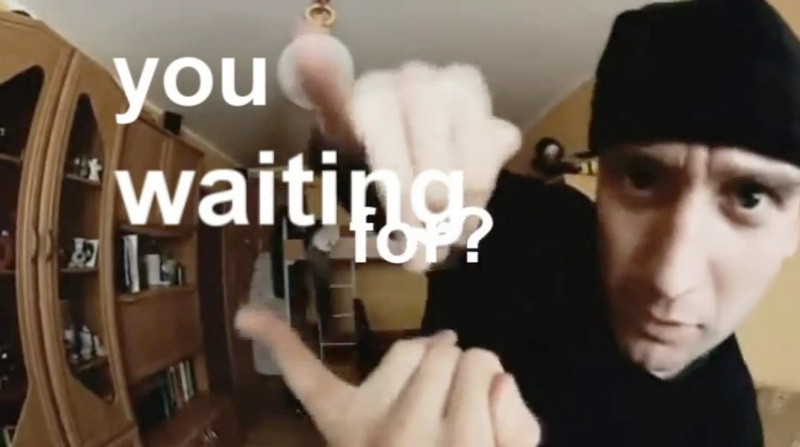 Do you want change? 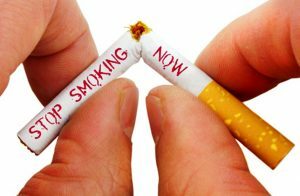 Are you ready to take control of the smoking habit and turn it off? You can. What people really don’t understand is how powerful they are, on the UN-conscious level. Yes, you can stop smoking. I have a new vehicle. And one of the things I’ve been enjoying about it (besides the “new car” smell), is how clean the windshield is and how clearly I can see while I’m driving. My old vehicle had rock chip repairs right in my line of sight and it was annoying. However, every time I drove this past week or so, there were thousands of particles of smoke, ash, haze, landing on my windshield and attaching to my windshield. So it’s hard to see. The wipers don’t remove the particles. Annoying times a thousand. It’s like I need a car wash every day. I was thinking. That’s like your lungs. Each and every time you smoke you’re depositing gunk and junk in there. And it sticks around. Not good. Here’s the bottom line. Your thinking mind isn’t enough to get the job done, if you’re like most people. Your conscious mind is thinking, analysis, logic, reason. I KNOW you have reasons to quit smoking. If you haven’t (yet), that’s because your conscious mind isn’t strong enough to enforce change. Your UN-conscious can! 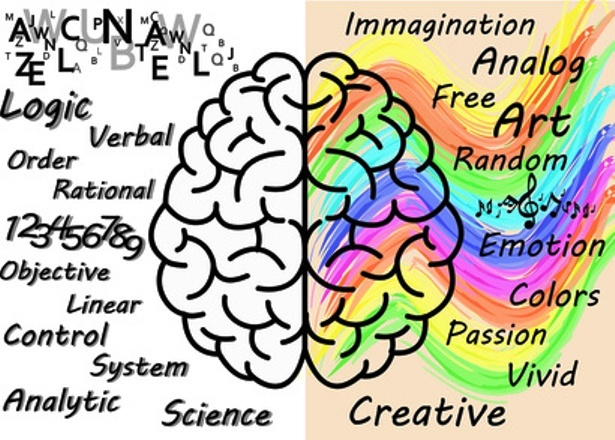 This is the part of the mind we communicate with in hypnosis and NLP. This part of your mind is the enforcer. The feeling part of your mind. Emotion, intuition, creativity. The good stuff! If you don’t feel like smoking, you won’t. Your creative mind will find something more healthy and useful to do, and put it in the places where smoking habit was. The UN-conscious drivers of behavior and habit are removed. And you are suddenly able to do the things you’ve been consciously wanting to do. Or not do. It’s really that easy. All you need to do is get your UN-conscious mind on board with your quit smoking project. And that’s what I help you do. Call me and I’ll be happy to meet with you and explain in detail what we do at Mindworks Hypnosis & NLP. Lots of cool things. 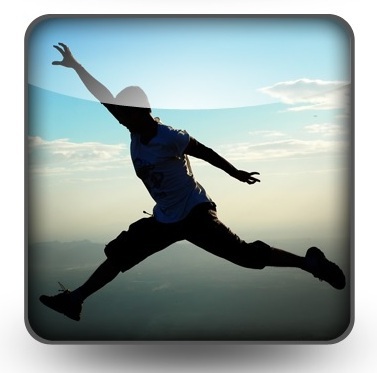 NLP is a conversational, open-eyed interactive hypnosis, that is fun and fascinating. It’s been called “hypnosis on steroids.” When you’re ready to go for it, so am I. A new season is upon us, summer begins in a couple weeks. Summer, in my mind, means enjoying activities in the great outdoors. Biking, swimming, sports! Baseball! Golf! Tennis! 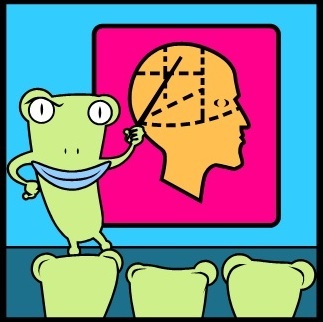 The topic today is hypnosis and your sporting mind. I’m sharing a simple technique to capture your “zone” state for great play. Here’s the outcome: you play harder, smarter, better. Whatever brings you pleasure and the win. As an extremely competitive person myself, I know the joy of winning. You can have it, too, in your life’s passion sport or any just-for-fun sport du jour. PS: Hint! This same technique can be used for any desired “zone” state of mind even beyond sports. How about that articulate flow for the business presentation? How about that positive confidence for the job interview? Are you ready for a new year? I know I am. What’s nice about a new year is a new start and a recognition of new opportunities to get the life we want. We call them: New Year’s Resolutions. I can help with those, whether they are New Year’s Resolutions, or Autumn Resolutions, Winter Resolutions, Spring or Summer Resolutions. Change can happen anytime. Now is good. “I saw another review of Connie where the person referred to Connie as her “fairy godmother” – and I couldn’t agree more with that sentiment! I saw Connie for the first time last Spring about some anxieties I was having about a relationship and in just one 2 hour session it was gone. Gone gone. Gone in such a way, it seemed silly and inconceivable that I ever got anxious about the relationship at all. Which then gave me the capacity to fully enjoy every moment and my relationship has flourished ever since. A few months after that – I decided I wanted to tackle another “issue” – and her work with that was again so magical and instant that I’ve been seeing her once a month to “tick off”, one by one, any other obstacles that had been in the way of my goals. One of my favorites was in September – I saw her b/c my frustration with a co-worker had reached a breaking point, and I couldn’t even stand to be in a meeting with him b/c my blood would boil out of frustration and annoyance and it was starting to affect my own performance. My feelings were so intense that even though I knew Connie’s work would help calm me down to the point where I could tolerate him – I didn’t expect what happened. After my session with Connie – the next time I had a 1:1 with this co-worker, not only was I NOT annoyed with him in the slightest – I actually found myself appreciative of his qualities that used to annoy me – because with the cloud of frustration (and nearly anger) gone – I was actually able to see the unique value and perspective that he brought AND I could finally see that he appreciates and values me and my perspective as well. Magical. Highly recommend.” — Gina M., Issaquah, WA. Thank you, Gina. Anybody can have success. Of any variety. All they need to do is focus their mind in the proper way. That’s where my services come in. To help you think differently, do differently, interact differently, feel differently, in ways that service your personal goals. Call me at 425-564-8608 and we’ll get started. I’m happy to explain more about what I do in a free in office consultation. Hot off the presses! Mindworks Hypnosis & NLP is taking part in a global education campaign to spread the good word on hypnosis. (That’s what this blog itself has always been about, by the way). This current campaign is through the NGH, National Guild of Hypnotists, of which I am a proud member. I’m sharing our press release here. Bellevue, WA, 11/6/15 — Professional Clinical Hypnotherapist & Licensed Trainer of NLP ®, Connie Brannan, is taking part in a global education campaign to share the message that hypnosis is a simple, safe and highly effective way for people to address the problems of daily life. Routinely used in the health care industry as a valued tool, by athletes to improve focus and performance and by successful business professionals, celebrities and other high-profile individuals for relaxation and stress management, hypnosis also offers efficient applications for solving the types of problems people struggle with daily. Presented by the National Guild of Hypnotists (NGH) (www.ngh.net), the nation’s oldest, largest and leading organization for professional hypnotists, the campaign is sharing in-depth information about the role of hypnotists in helping people of all ages and with a range of problems. Seattle, WA area resident, Connie Brannan, a member of the National Guild of Hypnotists, is recognized for her services that help people break bad habits, establish healthy new routines and enhance their daily lives. Connie Brannan has been a member of the National Guild of Hypnotists since 2006. 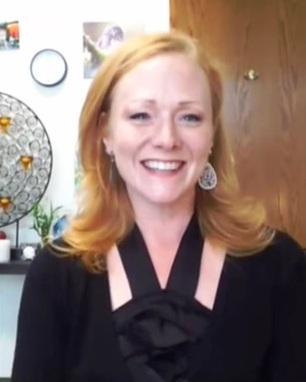 Connie runs a successful clinical hypnosis practice in Bellevue, WA. She maintains an A+ rating as an accredited business with the Better Business Bureau. 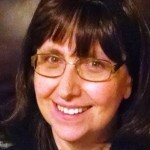 She has 175+ client success stories on her website, Mindworks Hypnosis & NLP. With her husband, Michael Brannan, she also owns and operates a Washington State licensed private career school, Mindworks NLP, and teaches hypnosis and NLP. NLP is Neuro Linguistic Programming, a high tech conversational hypnosis. Connie knows the power of these methodologies first hand, as well as through her client work, having lost over 80 pounds herself, and erasing her decades long spider phobia and perfume allergy. Michael Brannan is past President of the Washington State Chapter of the NGH. Established in 1950, in Boston, Massachusetts, the National Guild of Hypnotists is the preeminent professional organization for professional hypnotists. Over the years, the NGH has led the profession, receiving recognition in the United States Congressional Record for its accomplishments. 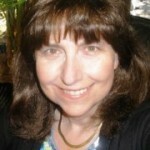 To learn more about Connie Brannan’s services and trainings in the Seattle, Washington area, contact her directly at http://www.mindworkshypnosis.net and http://www.seattlenlptraining.com. Find out more about the National Guild of Hypnotists at www.ngh.net. Hi, Seattle Area & Beyond Hypnosis Friends! 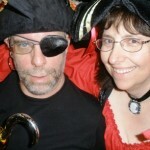 Michael and I LOVE this holiday, which celebrates the power of imagination. Here’s hoping your Halloween adventures are all treats and not tricks. Whether it’s handing out candy to the little neighborhood hobgoblins or dressing up yourselves and partying, have fun and be safe. Check out this hypnotic time-lapse video I’ve created. It’s a typical Seattle May day…murky, gray, overcast, dark. At first. Then, miraculously, things shift. The clouds blow away, and are replaced with dazzling blue skies and brilliant sunshine. What a beautiful Seattle day. Hypnotic! And what a great metaphor. This is the essence of hypnosis and hypnotherapy and NLP. Change. And, as this video shows, change is easy! Troubles and problems and old habits can “blow away” as though they never even existed. We don’t need ’em, we can get rid of them. Easily! That’s the secret and unknown part. Hypnosis is the tool to make it happen. Hypnosis and NLP are really user guides for the mind. I hope you enjoy this amazing video. I love it, if I do say so myself. These scenes are three different views of the same day, from atop our own Space Needle – the heart of Seattle. My favorite part is when the shadow of the Space Needle moves and elongates across the city. We are so privileged to live in the Greater Seattle area, there’s nowhere as beautiful on earth. She found her confidence, with Mindworks Hypnosis & NLP. Here is another Seattle area hypnosis client success story. 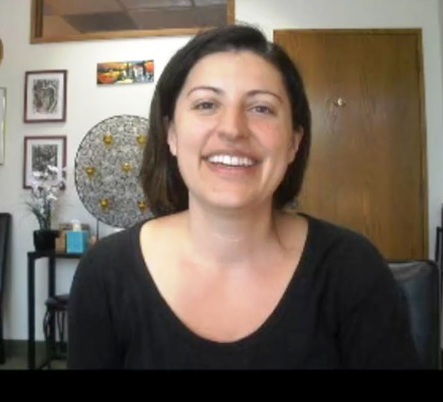 Michelle, of Sammamish, WA, reports a “huge impact” of improved confidence after working with Mindworks Hypnosis & NLP. Now she’s free to pursue her goals. You go, girl! “Hi, I’ve had a couple sessions with Connie and have noticed a bunch of changes in just a short period of time. The biggest change I’ve noticed is working on self doubt, motivation, confidence. I’m pretty much not contradicting myself in my head. Not preventing myself from doing some things that I want to do. And that so far has had a huge impact. Some of the things that we talked about–healthy lifestyles! There were a couple of food vices that I had. Soda was one of those, that I would turn to when I was stressed. We had a session on that. And, now, I don’t have that same stress response. I don’t crave that soda if I’m having a bad day. So, some big changes there. It’s been an amazing, positive experience! Working on confidence and healthy habits. I’ve noticed a lot of progress. So, there’s a motivation, a sense of enthusiasm. So, it’s a really fun experience! And really positive! All in a short amount of time. I definitely recommend Connie Brannan.” — Michelle, Sammamish, WA. Clients often comment how amazed they are at the speed of changes. Yes, hypnotherapy and Neuro Linguistic Programming done right can lead to instant and continuously unfolding change. Success! That’s our goal for every client that walks in our door. 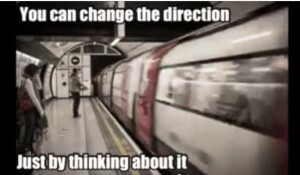 Change your direction any time, with Mindworks Hypnosis. The power of your mind is so incredible! Here’s a quick and easy demo proving change is easy. I invite you to check out this brief video. Is the train moving to the left into the tunnel, or to the right, emerging from if? What do you see? Cool! Now, simply imagine that it’s moving in the opposite direction. And it does!! Some people call this “freaky.” I call it: “control.” We control our perceptions of the world with our mind. And yes, it really is that easy to alter direction. When your mind makes the leap, you see things in a new way. And new seeing leads to new thoughts, and new beliefs, and new behaviors. That’s the purpose of skilled hypnotherapy–assisting you in the new seeing. I love these type of visual demos. People start to “get it.” That what happens between their ears is the real deal, and the real power. If you’d like to see yourself or life in a new way, and live those changes, we can do that. My hypnosis clinic services all the Greater Seattle area. Call me anytime at (425) 564-8608 and we’ll get started! 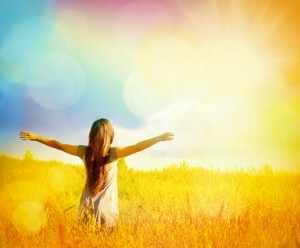 “Anxiety is totally gone!” Pam’s Success with Mindworks Hypnosis & NLP. I’m always pleased when a client is so happy with my work that he/she agrees to comment publicly on the power of hypnotherapy and NLP done right. 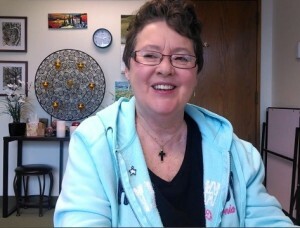 Here’s a video testimonial of success from a recent client, Pam Parsons, of Issaquah, WA. She reports that anxiety is “Totally gone.” Yay! Pam decided to feel differently, and move ahead in life. She chose to feel: “calm, confident, worthy, driven, and courageous.” The tools and techniques I use helped her to do just that. We create new Designer Feelings™, and replace the unwanted feelings, and automate that process for the future, which we call Designer Beliefs ™. Powerful stuff! Fabulous stuff. Life-changing stuff. Pam knows. A man I met recently asked me a question. He said, at the end of your life, are you going to be able to say with authority and truth that you lived the life you wanted? That you mattered, that you made a positive difference in the world, that you loved fully, that you lived fully? I know my answer is going to be: YES! I love helping people, and I’m doing it. I’m living my passion. I’m also happy that I’m helping other people to have a more wonderful life and be able to answer that question themselves in the affirmative, too. If you’re ready for change, give me a call anytime to find out more. Would you like some insider-secrets to the work I do at Mindworks Hypnosis & NLP? When I meet a client, one of the first questions I ask during the info gathering portion of our work is: “How would you rather feel?” What specific, explicit state of mind and body, aka mood, would be useful to you in the context under discussion? The right frame of mind is essential to success in any human endeavor. A golfer might need focus and calm, and strength. A person who is speaking in public might need clear-minded, articulate, and a sense of fun. A person boarding an airplane might need a feeling of relaxation, security, and optimism. Intimate moments might need confidence, joy, and playfulness. A business person working a new project might need motivation, energy, and creativity. Michael and I are trained as Design Human Engineers™ as well as Licensed Trainers of NLP ®. Here’s one of the things we love to do with those tools at Mindworks Hypnosis & NLP: we custom-design and create with you new feelings. And then we attach those new feelings where they are useful. We transform a problematic state of mind and body, such as fear, uncertainty, sadness, I can’t do it, lethargy, hopeless, etc. into power and joy and success generators. Dr. Bandler (the co-originator of NLP, and the man who has licensed us as his Trainers) has a wonderful saying: “Good feelings, good decisions. Bad feelings, bad decisions.” That is so true! We’ll help you create those good feelings. When you change how you feel, you change how you think, and you change what you do in the world. It’s all connected. The way I explain this to clients, I have them imagine we’re making soup: We toss into the pot all sorts of good things, veggies, herbs, spices, etc. 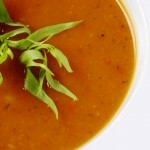 We simmer and the flavors merge and meld and create something wonderful. So, too, we create for you designer feelings. We can create in these blends feelings you’ve never even experienced in the world. You can now. This is only a partial “menu” of items that can go into your customized, designer feeling. Then we do the work (using NLP) to attach this new power state to the times/places/interactions where you want the feeling. Bottom line: we get to CHOOSE how we feel. What a life-transforming, power-filled idea. When you’re excited about something, you know what? It shows! 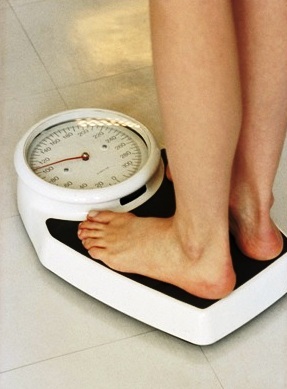 Carol Haugen of Renton, WA, is surprised at how well hypnosis works for weight loss. After a couple sessions, she’s on a new path: minus 5 pounds so far, working out, down a belt notch, clothes looser, and her granddaughter reports that a recent “hug” shows her that Grandma is getting thinner. There’s all kinds of ways to measure weight loss success, and the number on the scale is just one of them. Here’s Carol sharing what she’s noticing so far after our work at Mindworks Hypnosis & NLP for weight loss hypnotherapy. And what she’s really noticing is: it’s so easy. Amazingly so. That’s the power of the mind, when properly focused. If you’re interested in losing weight, getting healthy and adopting new healthy lifestyle changes, we can help. We do offer a free in-office private consultation if you’d like to learn more about what this thing called “hypnosis” REALLY is. You’ll be surprised. It’s something wonderful, and not at all like the picture painted by TV and movies. Carol knows! Does Hypnosis Success Last? Here’s another Seattle Client Testimonial of Years Long Success. 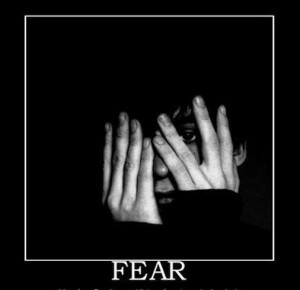 End Fear now, with Mindworks Hypnosis & NLP. One of my favorite uses for hypnosis and NLP is helping people end fear. I know what fear is like, as I had a severe spider phobia for decades myself. Not anymore. 🙂 NLP took care of that little problem. I only wish I had known about hypnosis and NLP long, long, ago, and I could have avoided years of discomfort. Yay, success! Once the mind has recognized fear as being unnecessary and inappropriate, and chosen more resourceful feelings such as confidence and calm, why would it ever go back? It wouldn’t. It doesn’t. If you’ve got a fear and would like NOT to have that fear, give me a call. I’ll meet with you and tell you all about how this amazing methodology called “Neuro Linguistic Hypnotherapy” works. Here’s more about the work I do, in video format. 🙂 This video, “Seattle Hypnotherapy – Mindworks Hypnosis & NLP,” tells it like it is: empowerment. 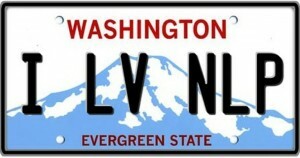 Here’s what I sell one on one, face to face in the Greater Seattle area: success. Success doing what? Any goal you might imagine, from quit smoking with hypnosis, to lose weight with hypnosis, to end fear with hypnosis, to more persuasive with hypnosis, to better golf with hypnosis, and so on. I was musing this morning on the nature of change. Change is what I sell. Change is good. Change is choice. Yay, Marcela! You go, girl! If you need a boost of creative juice flow for any endeavor in life, think about hypnosis for that jump start. It works! What’s your weight loss goal? Is it a number on a scale, or is it an improved way of being, a new mindset, a new healthy outlook, a new energy? 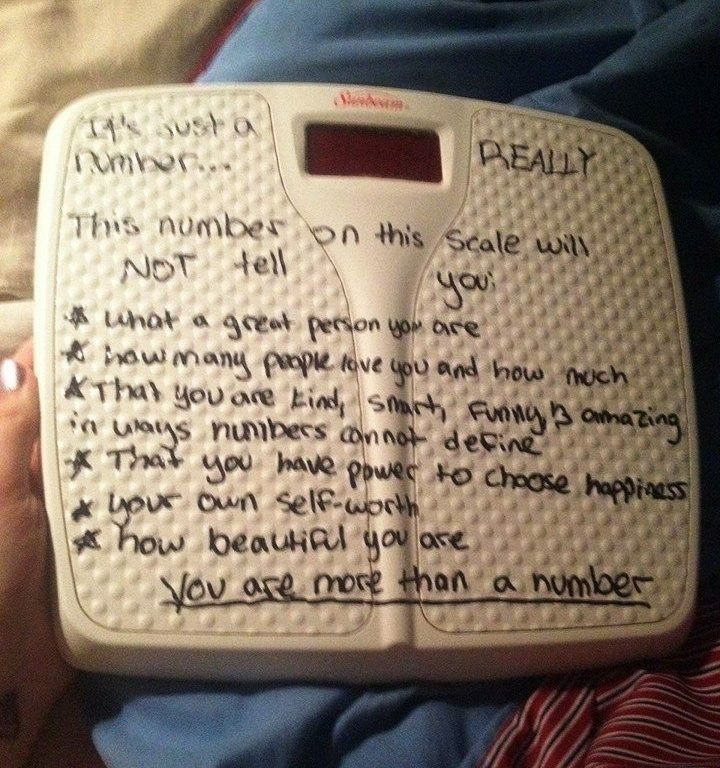 This reminder on the scale was created by a brilliant young mind, age 13. And, as I know to be true, feeling better about yourself leads to the numbers on the scale going down, down, down. Here’s the message, which I think is massively inspirational and should be taken to heart. * That you have power to choose happiness. When you’re ready for a healthy change, hypnotherapy helps. I did hypnotize this little girl for healthy eating awhile ago. She’s in the right mindset for success. You can join her there anytime. Goodbye, Anxiety. Skilled hypnotherapy works. Is it magic? Or is it the power of your mind, unleashed? I opt for the latter. You have more brain power to make changes than you currently use. I’m happy to help you use your mind for healthy and happy changes. Here is ANOTHER Seattle area hypnosis client testimonial of success for Mindworks Hypnosis & NLP. Goodbye to fear of flying, goodbye to panic and anxiety. 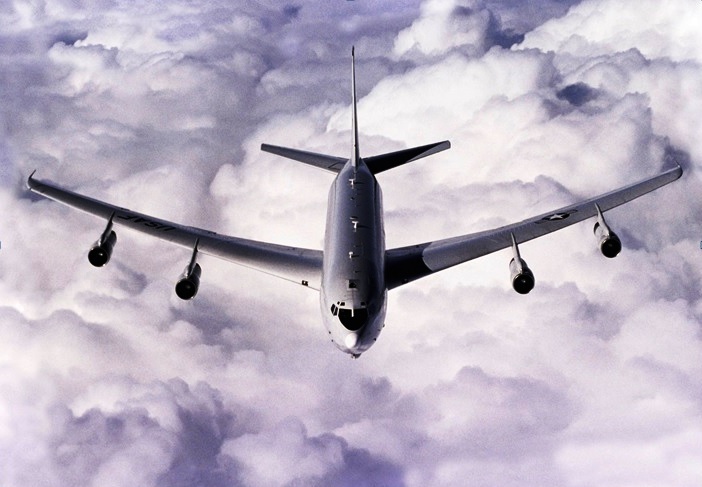 I just posted one success story about the end to fear of flying on my blog here, and boom! Here’s another which showed up in my inbox this week. When fear leaves, the door to adventure and wonderful, positive experiences opens. Yay, Kristen! I’m happy to share her success, as a notice given that irrational fear can be removed. Easily, with the right tools. I dropped a friend off at Seattle Tacoma International Airport today, and man, that place is busy! Summertime is traveling time! Here in the Pacific Northwest, we love to fly, and it shows. Yay, Susan! You are now free to discover the world. When fear is unnecessary, and limiting, we can remove it. Any irrational fear, from fear of public speaking, to fear of flying, to fear of overripe bananas. Learn more anytime at http://www.seattlehypnosisforphobias.com and http://www.mindworkshypnosis.net. Hi, Hypnosis Friends, in the beautiful Pacific Northwest and Seattle area and beyond! That’s right. Short and sweet and to the point. Results. That’s what it’s all about. In the course of helping Deb with sleep, we also helped Deb with anxiety. Two for one! When you have sleep issues, life is difficult. There is something that helps, and it’s not pill-shaped, and it’s not unhealthy. Before you reach for the bottle to drug yourself to sleep, call us and find out what the au naturel power of your own mind can do to help, that power unlocked by skilled hypnotherapy. Call us anytime for a free in office consultation. 425-564-8608. http://www.mindworkshypnosis.net It takes a good half hour to explain our services, because hardly anyone on the planet knows what hypnosis REALLY is, or what Neuro Linguistic Programming is. It’s not what you think. It’s infinitely better. I invite you to find out. I’m excited to announce that I have been chosen to be a featured presenter at the Oregon Hypnotherapy Association’s spring educational conference this month. I’m giving a talk on the topic of aversion therapy—that’s the art of using hypnosis to attach “a big fat no!” to the habits and behaviors that people want to stop doing. That runs the gamut of things like stopping smoking, drinking, overeating, fingernail biting, procrastination, and more. In the field of hypnosis, there’s harmful negative aversion (suggesting illness and death–which I would NEVER do to a client), and there’s positive aversion. The “aversion” aspect of any work I do is all positive aversion. Here’s more about my talk for those interested in the nitty gritty of hypnotherapy, who may read my blog. What would you never do? “I’d never kill anyone.” Sure, you would. If the situation was such that the killing became an imperative and appropriate response. That’s not a felt response, that’s an intellectual response. What makes your skin crawl? What is it that you would REALLY never do, such that the thought of it is so repellant and disgusting and fearful to you that it turns your stomach and your brain says about it: “That’s a big fat NO!” Eat live worms? Kiss your grandmother? Jump out of an airplane for fun? Aversion in hypnotherapy is the art of attaching a “big fat NO” to an unwanted behavior such as smoking or eating sweets, in the mind AND the body. In this talk, I demonstrate a potent NLP technique to achieve this. Finding and attaching the most potent multi-sensual aversion connection is very much an art form. Hypnotherapy itself is a creative art, and the more you successfully tailor ideas and associations for the person in front of you and what moves them, the more successful results you will achieve for them. Everybody is different, and their “big fat nos” are different. In this talk we discuss aversion. Unwise, harmful aversion (you’re going to die a horrible corrosive death with illness, pain and suffering if you continue the behavior) vs. creative positive aversion. For a long time I avoided aversion suggestions altogether, because it seemed to me to be only negative and hurtful. It doesn’t have to be. Also in this talk we discuss how useful aversion is in a propulsion system to change, combined with the positive attraction of desired outcome. 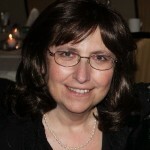 Connie Brannan, CHt, is a Neuro-Linguistic Hypnotherapist, Certified Clinical Hypnotherapist, Licensed Trainer of Neuro-Linguistic Programming™, Professional Conversational Hypnotherapist, Design Human Engineer™, Persuasion Engineer™, Timeline Coach & Regression Specialist, Usui Reiki Master Teacher, and Matrix Energetics Practitioner. 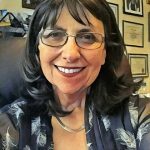 She operates a clinical NLP and hypnotherapy practice out of Bellevue, WA, called Mindworks Hypnosis as well as training NLP with her husband, Michael Brannan, in their private career school, Mindworks NLP, through the Society of Neuro-Linguistic Programming™. She is a published author and creator of several hypnosis self-help audio CD products. 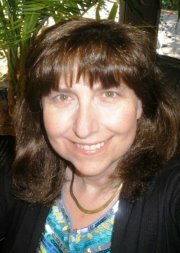 She conducts a series of self-hypnosis workshops and teaches hypnosis for adult continuing education programs in the Seattle area. Goodbye, Anxiety! Client Testimonial of Success for Mindworks Hypnosis & NLP. Marcela Kenevan of Gig Harbor, WA came to me in a state of anxiety, fear and uncertainty over recent and unfolding events in her life. Those unpleasant states of mind and body are over. She’s feeling like herself again, confident and powerful, and happy. Here is Marcela, feeling good and sharing her new state of mind. Hold on to your power state, Marcela. It looks good on you. Check out the positive power of hypnosis & NLP anytime. We offer a free in-office consult, when you’d like to learn more. Just for fun, I’m sharing some experimentation I’m doing with video collages. Video is a very hypnotic medium, whether it’s movies or television, or the tiny art forms I’ve created here. In the first video I’m sharing, the topic is anger management. Yes, hypnosis works for releasing any unwanted and non-useful emotions, including anger. The second video is purely for hypnotic fun–my inaugural attempt at video collage-making. Enjoy! Here is a link to the article. These tips are good advice for weight loss. However, rarely is advice alone enough to make it happen. You need the mindset of success. You need the focus, and drive, the determination and motivation. You need the “go for it.” You need the tenacity. “Stay with it.” Re-shaping your body can be a lengthy process, and you need to be in it to win it for the long haul. That’s where hypnosis shines. You need the “no way” automated response attached to unhealthy foods and overeating. That’s where hypnosis is magic. You need the “I’m making time for me” directed choice to become more active physically. That’s where hypnosis helps. When you understand how the mind works, change is easy. I’m continuously asked whether I’ve worked successfully with clients on something very specific, like: Have you worked successfully with clients who pick at their face, have you worked with clients who play soccer, have you worked with teenagers who smoke, have you worked with diabetics with sugar “addictions,” have you worked with someone with a fear of dinosaurs, have you worked with a person wearing pink socks, on a Tuesday? At this point in my career, yes to all. That’s like asking a painter: have you ever painted a portrait where the man has a mole on his left cheek? Has he? Maybe yes, maybe no. But could he? Absolutely yes. It’s like asking a master carpenter if he could build a birdhouse? Has he? Maybe yes, maybe no. But could he? Absolutely yes. Once you understand the nuts and bolts of your craft, you can create anything. NLP and hypnosis are about changing the thinking, feeling, and responses in the moments and situations of your life, as it’s useful to do so. The details of those situations are irrelevant, once you understand how the mind works and how we create change in our minds and lives. I do have that understanding. I can help anybody do anything. These mind tools that I use, primarily NLP (Neuro-Linguistic Programming) are less about the content of a problem, and more about the structure of a person’s thinking. When you change the latter, the former dissolves. And fast! What if that idea is ugly ridiculousness? What if change were easier than that and pain free? In the work I do, we heal the life by re-arranging the structure of thinking, the internal mind strategies that create a problem, and we don’t even have to delve into content. So no, there’s no sticking your hands inside wounds and wallowing in misery. Not in my office!! No blood. I don’t want that on my carpet. Perhaps the above is what counselors or talk therapists do. That’s not what I do. Nor would I ever. Skilled NLP is more powerful and successful for change than that. The proof is in the pudding. Feel free to visit my website and see all the pudding. Or, come to my office and have a taste yourself. 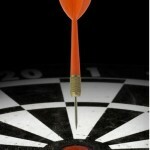 What is hypnosis and NLP good for? What can it help with? Anything and everything. Like many, many of you I watched the SuperBowl yesterday. And, as the world knows by now, our Seattle Seahawks won. Crushed them! Happy dance time! It’s a wonderful achievement! How do you win a SuperBowl? Well, there’s conscious knowledge of the game and strategies for play needed. There’s a power state of body, a strength and physicality needed. I believe even more importantly, there’s a power state of mind needed. A winning state of mind. I just discovered that the Seahawks preparations for success included regular meditation, designed to put them into “a mindset of greatness.” It worked! 🙂 I found an interesting article on this: http://abcnews.go.com/Health/seattle-seahawks-ohm-team-advantage/story?id=21614481. By the way, meditation IS hypnosis. It’s a kind of self hypnosis. This state of slower brainwaves, this state of quiet mind, with a narrowing of focus, and an inner sense of well-being, that’s absolutely hypnosis. When this state is created and the mind directed to specific goals, creative problem solving comes alive. Success happens! That sounds very much like what the Seahawks did and that’s what I do with my clients, sports clients and otherwise. It’s all hypnosis. Po-tay-to, po-tah-to. Perhaps “meditation” is a more socially acceptable word for some than “hypnosis.” I’ve noticed that lots of very successful programs and modalities for change actually utilize hypnosis but don’t want to call it hypnosis. Perhaps that’s due to pejorative weirdness and misconceptions still floating around left over from crazy Hollywood movies and popular culture. They’re scared of the word. Hypnosis is something wonderful. Hypnotherapy is a guided use of this inner-focused state of mind for very specific goal achievement. As the Seahawks have shown us, using your mind in this way leads to success. 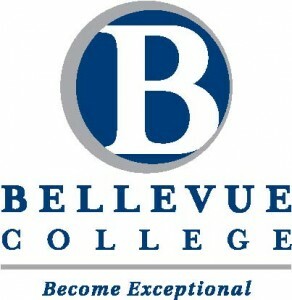 Learn Self Hypnosis with Connie at Bellevue College. How would you like to learn and experience self-hypnosis for weight loss from a Master Hypnotist & Licensed Trainer of NLP? You can! You’re in luck. I’m teaching a class for Bellevue College Continuing Education in Jan/Feb 2014. The course featured here focuses hypnotic tools to enhance healthy body and healthy eating, but really, these tools can be applied to so many things in your life: motivation, stopping bad habits, quitting smoking, releasing fears, and more! January 29 & February 5, 2014, 6:30 pm – 9:00 pm both nights. Imagine yourself in your “skinny jeans.” Hear the compliments of your family and friends. Like what you see when you look in the mirror! Feel the energy! The hypnosis skills taught in this workshop can help you unleash the infinite power within you to achieve all this! You’ll learn to reprogram your own mind to act in ways you desire: healthy choices, healthy eating, motivation to exercise. It won’t be a struggle, and it’s not a “diet,” it’s simply doing what you want to do. 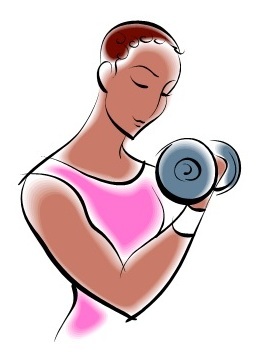 Your mind and your body will be working together–for your health! If your New Year’s resolutions are weakening, this course is your pump up of power! I do hope you’ll join me. This course is lively and fun and participatory. That means, you get to experience hypnosis as well as learn more about the power of your mind. This is a very busy time of year for hypnotherapists. 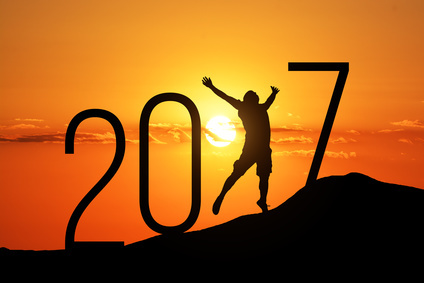 New Year’s Resolutions spur visits for weight loss, quitting smoking, and other positive changes. I know that any time you’re motivated for change is a good time to get started, whether that’s January 1st or any other date. Hypnosis “turbo-charges” the actualization of your goals. I love helping people with weight loss. 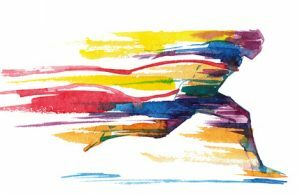 People come into my office and itemize their issues: what they eat, when they eat, why they eat (when they’re not hungry), how fast they eat, and all the accompanying aspects of self image and internal dialog, limiting beliefs, and so on. Many things need tweaking for success. The topic of the moment is: Portion Control. When to say when. 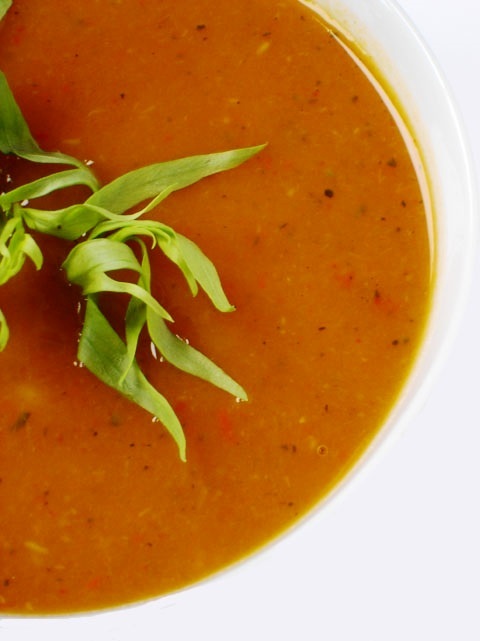 How to become attuned to the right amount of food for your body and energy needs. How to eat less and enjoy it more. Here is part two of my continuing essays on the various aspects of the “Weighty Issue” of weight loss and weight management, and the successes to be had through Neuro Linguistic Hypnotherapy. Our mind has unconscious strategies for everything we do. How we act, how we think, what we choose, what we perceive as real. We acquire these strategies through learning. They become embedded in us like programs running on a computer, which we then call “habits.” Habits are learned, and they can be unlearned. Neuro-Linguistic Programming (NLP–a conversational hypnosis) studies successful unconscious strategies, and we can grab, install, and live those strategies in ourselves. In studies of naturally slender people, we have successfully gathered naturally slender food strategies. Via NLP and hypnosis, we can install these into people who would benefit from them. This is a necessary piece of the work I do with clients! 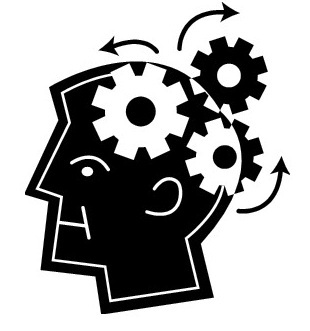 A client can adopt an unconscious new strategy and find themselves engaging in new behaviors without any mental effort. 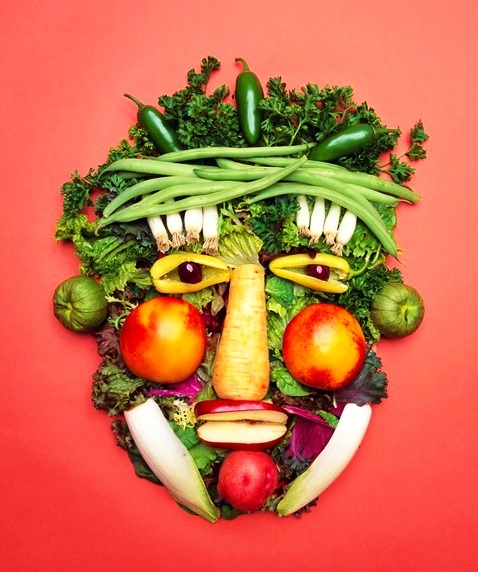 We get clients in tune with physical hunger vs. emotional hunger. The mind can notice the difference. Emotional hunger is “fed” in new non-caloric ways. Physical hunger leads to a healthy choice strategy in the mind, meaning you’re more likely to reach for an apple rather than a cookie, a salad rather than a cheeseburger and fries. We implant a speed strategy, how fast to eat. Slowing it down is usually helpful. We implant a beverage of choice strategy: water! And then most importantly, we implant an exit strategy. When to STOP EATING. This is set at the point of satisfaction, when the body’s nutritional and energy needs are met in accordance with achieving and maintaining a healthy weight. There are, sadly, desperate people out in the world who don’t realize the control they have over their own minds and bodies, and they go to bizarre extremes like surgeries that attempt to PHYSICALLY limit food intake. That’s not necessary! Installing new unconscious strategies with hypnosis creates better success, without the expense or health risks. If your unconscious strategies (habits around food) need adjustment, it’s so much easier than you think to make healthy changes. You can discover it for yourself any time. After January 1st or before. “Almost at my target weight!” – Weight Loss Hypnosis Success Testimonial. Here is another success testimonial. Seeing a hypnotherapist is a personal matter. Not all of my successful clients want to share their names publicly. Mr. D. R. of Sammamish, Washington, has opted to share his happy results, with initials only. If weight loss and healthy eating are on your New Year’s Resolutions list, why wait? Give me a call at (425) 564-8608 and let’s get started now. Today is a good day to get serious about healthy. I’m having fun with my “narrative collage” videos. Here’s another. This is how I imagine a box of chocolates would feel after discovering that her people have a new and powerful focus on healthy eating. Truth be told, hypnosis is a fantastic methodology to end the sugar cravings, the sugar urges, the sugar “addiction.” How would you rather feel about sweets? We can enact those changes. That’s where NLP shines! 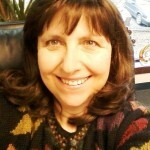 Kerry D. of the Greater Seattle area came into Mindworks Hypnosis for some personal development, and life changes. She found them. Here’s her comments after two sessions with me. “I was very hesitant to seek help or counseling, for all of my life, because I didn’t want to talk about my problems. I know what my problems are. I just wanted to fix them. And then I found Connie. And after one session I felt remarkably better. Like a completely different person. Connie is amazing! I trust her and I feel like she is somewhat of a kindred spirit. Don’t think twice. Trust your instincts. Come and see Connie. She’s amazing. Truly, truly amazing.” — Kerry D., Seattle, WA. Find Your Power - Hypnosis is a tool to do just that! I often get asked about hypnosis. Is it real? Does it generate change? Do the changes last? Yes, yes, and yes. 🙂 When a client successfully updates a program in their mind, it stays updated. I got a wonderful testimonial of ongoing success from Karel Creason, of Bellevue, WA, about a year after our work. “Connie Brannan has helped me change the way I think about myself and my life. I saw her primarily for help with weight loss, but I ended up realizing many other positive changes at the same time. I was surprised and so pleased with the lasting results of my sessions: ability to concentrate on the way I wanted to eat, improvement in my personal relationships, and a completely rejuvenated interest in life. After 20+ years of severe depression, I was amazed to find that I was free of it after just a single session. I am so grateful that I had the good sense to see Connie, and I recommend her services to anyone who wants similar improvements in their life.” — Karel Creason, Bellevue, WA. In general, people have no clue about the power of their own minds to effect positive changes. Hypnosis is a tool to unlock that power. It’s not mind control, (as some erroneously believe) it’s empowerment. Karel created these changes in herself. Good job! When you focus your mind on a goal or goals using the tools of Neuro-Linguistic Programming and hypnotherapy, your mind creates the pathway to those goals, the strategies, new thinking, new behaviors, and forward movement required. Massive success and change is possible, as this client success story attests. I think I’m in love with hypnosis. And when the uninformed dismiss it, it’s very, very, very sad. The positive and dramatic changes you get with hypnotherapy may seem like magic, however, it’s au naturel, it’s the power of the mind that we all have. Hypnosis is an empowerment process that connects us to our ability to choose. New behaviors, new feelings, new thoughts, new life. Discover it, Seattle! “I Have More Courage!” Goodbye, Performance Anxiety – Hypnosis Works! Performance anxiety happens. Only, it doesn’t have to. With skilled hypnosis, kiss it goodbye! We can choose to be different, feel different, respond differently in those presentation or performance moments. “I notice I am feeling less anxious about what others think and I am able to relax and have fun! I have more courage! I am so happy I met you!” — A. N., Seattle, WA. Not all of my clients who send me hypnosis success stories and testimonials want to put their faces or names out there, and that’s OK. I’ve noticed that several athletes I’ve worked with and also high profile executives who are high on the totem pole in local Seattle business don’t want to advertise their “SECRET WEAPON” for success. That’s Mindworks Hypnosis & NLP. And our success-making Neuro Linguistic Hypnotherapy. Where ever fear of performance happens, whether it’s the meeting room, the boardroom, the bedroom, a presentation or a live performance onstage…I can help! Call me to find out more! The Power of Hypnosis is the Power of You! “You had the power all along, my dear.” Glinda tells Dorothy in The Wizard of Oz. YES! What is hypnosis? It’s the power of your mind to be creative and solve problems. What does a hypnotherapist do? A hypnotherapist does not solve your problems for you. A hypnotherapist leads you into this cache of power inside YOU and helps you activate that power. You become resourceful and solve your own “problems.” Only, you come to realize that they were not problems at all, just choices. And you find the power to make different and more useful choices. My favorite teacher is named Dr. Richard Bandler. He’s the co-originator of NLP, Neuro-Linguistic Programming, and as far as I’m concerned, the “King” of hypnosis. I’m very fond of Dr. Bandler. After lecture one day in Orlando, I approached him and asked him to autograph one of his books for me. I have many, many of his books, but my prize is a “first edition” of Frogs Into Princes. He was kind enough to sign my book. Right on! Yes. And I do. Everyday. I copied that page of the book, and cut out those words and they are now residing on my desk at my Bellevue hypnotherapy clinic. “Find your power.” I look at them every day, consciously and unconsciously. “Find your power.” Yes! I activate that suggestion. As Glinda knows, the power is in us. When you’re ready to activate your power, consider hypnosis–it’s absolutely the doorway in. Every day I help Seattle area people do just that! Everyone’s talking about “New Year’s Resolutions.” But how do we actually create newness and change? With hypnosis and NLP, you can change how you think, and how you feel about things. You can change how you see things, and even what you believe to be true. And, all this leads to what’s really important: you can change your behaviors, change what you do in the world. And what you don’t do. That’s funny. That’s also called digital thinking. Yes, no, on off. When you change to thinking along a continuum, you open up an infinity of new choices. More choices, equals more flexibility, equals more success. In short, hypnosis finds and gives you more choice. There’s an expression in NLP: “the one with the most flexibility wins.” Behavioral flexibility is the holy grail. It’s what we want and seek for our clients and ourselves. If you’re not flexible, you’re rigid, stiff, always doing what you’ve always done. You’re stuck! Lao Tzu (ancient philosopher) said: “Bend like a reed in the wind – that is the real strength. The old hard tree breaks and falls when the wind blows. The young tree bends and does not break.” Hypnosis opens up unstuck, also called choice, also called flexibility. Here’s a real world example. I had a client yesterday who gravely informed me that he’s an “addict” to cigarettes. Now, that’s a STUCK statement. He’s trapped! He’s done. Put him in his coffin. An addict can’t quit smoking, by definition. We used hypnosis & NLP to change how he sees himself, and when the label “addict” left, so did a restriction on his choices. In one piece of our work, we asked the creative unconscious mind to come up with completely healthy alternative behaviors to replace smoking. The unconscious can do that in a heartbeat, and did. Now, there are many new options available to him, behaviorally. And we enticed his mind to put those new choices into action. This pulled the rug out from under being “addicted” to smoking. Now he has the freedom to say “no way in hell” to cigarettes. And he did. We created a new nonsmoker yesterday. If you’re stuck in a behavior, in a habit, a pattern, a way of thinking, feeling, or being that does not serve you…there are more choices than you can currently see. Hypnosis can open up that trap, let you out of the cage and into the sunlight of infinite resourcefulness. Seattle rain got you feeling SAD? Hypnosis helps. I was born in Seattle, and I happen to LOVE the rain. And rainy winters. When I lived in Arizona I felt like a fish out of water, too much sunshine for me. Not everyone shares my enthusiasm for Seattle’s climate, however. Some people find dark, endlessly drizzly days depressing. They’ve even given it a fancy name: Seasonal Affective Disorder. SAD. If you find yourself sad or otherwise negatively affected by Seattle’s rainy winter, I can help. I have tools to help you change your neurology (how you feel), which changes how you act. Better feelings! Hypnosis, it’s sunrise in a bottle, pink, and bright, and full of promise. Newness and freshness. If you’re tired of sad, we can change that. Faster than you imagine. Call me and you’ll be laughing in the rain. I believe they made a song like that. 🙂 What’s useful about feeling better? Everything. When you change how you feel you change what you think, and what you can and do accomplish. I offer a free consult to help you learn more about hypnosis as a powerful tool for personal change. Call me! (425) 564-8608. Find your success with Seattle’s best hypnotherapy. DOES HYPNOTHERAPY WORK? YES! CHECK OUT OUR SEATTLE AREA CLIENTS’ SUCCESS STORIES!!! “The proof is in the pudding!” I say that a lot!! On my website you will find enough “pudding” to feed an army. You want results!! Here are some Seattle area hypnotherapy clients, people just like you who report wonderful life changes since experiencing the power of hypnosis with me and Michael. I know…there are SO many testimonials of hypnotherapy success on my website that they are becoming unwieldy. The sheer number of them should tell you something useful– however I know it could also be useful to you to find direct success examples on YOUR issue or issues. So, I’ve created this handy index! If you’re in Seattle, or anywhere in the Greater Puget Sound area, and are looking for evidence of the best results in hypnotherapy, I invite you to click the links below. Here is proof of success, from up close and personal video testimonials (clients so thrilled they want to share their names & faces), to written reports of successful habit changes of every variety. Check out these testimonials of successful Seattle hypnotherapy work with Mindworks Hypnosis & NLP! What’s your desired success? Call me. (425) 564-8608. Michael and I are the best in Seattle hypnotherapy. How Do I Find a Good Seattle Hypnotherapist? 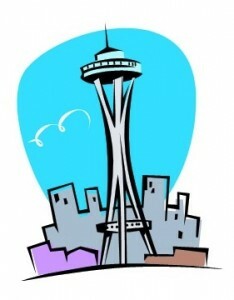 Seattle Hypnosis – Mindworks Hypnosis & NLP is the real deal. “How do I find a good Seattle Hypnotherapist?” I’m a Team Member representing the professions of hypnosis and NLP Neuro Linguistic Programming on a popular internet forum board. I’m often asked for advice on finding and choosing a hypnotist. Someone who’s “the real deal,” and not an unskilled fly by night. Yes, the true, skilled, passionate “this is my life” successful hypnotists are out there. This is how you find them. Word of mouth is great, but failing that, you’re going to be looking at the internet. Focus on the focus. It’s all comes down to a person in my profession’s focus and primary goal. Is it about marketing ploys and making money, or is about the joy of developing a skill set and making client successes? When you look at a person’s web presence, and/or meet them face to face, you’ll be able to notice the difference. I call it puff vs. passion. This attitude disturbs me greatly. Hypnosis is a helping profession, and people with such a money grubbing focus shouldn’t be in it. It’s not about the “dough re mi” for me. It’s about doing something worthwhile, and making a difference in people’s lives. I figure that the financial rewards are a given, if I devote myself to the pursuit of excellence and helping people achieve their goals and their potential. This guy quoted above: I’m sure he’s hired a good SEO (search engine optimization) person to help him get ranked high on Google–because that’s what it’s about for him. Or he’s paying for Google ads. Here’s a tip: Ignore those paid ads. In my opinion, many times those listings at the top of the google pages which are highlighted as “paid ads” tell me the person is either brand new and/or not very good. The real deal people rise in those listings as an “organic search” because of the substance and quality and CONTENT of their website. My listing is organic. Here are a few more clues to find a serious professional hypnotist vs. an unskilled hypnotist. Certifications. I know it’s difficult for the lay person to know the difference between “printed this in my basement” certificates from newly created fake “professional orgs” vs. the real trainings that a professional would have from respected sources. Here’s a clue, the number and dates of certification. A dedicated professional keeps learning, and would have a variety of trainings under their belt. Studying a website, do your research on the hypnotist’s credentials. Check out the organizations listed. How long have they been around and continuously active? Are they national? International? How many members, tens vs. thousands? I’m a member of the NGH (National Guild of Hypnotists). We have been around since the 1950’s–it’s the oldest and most well respected professional organization for hypnotists in the US. If they are hyping an NLP certification, find out if it’s through Dr. Richard Bandler or John Grinder or Steve Andreas. Those are the originators of NLP. Other “schools” (some legitimate, some a joke) offer far lesser versions of this power. The real deal people have paid the training bucks and spent the time honing their craft. And continue to do so. Testimonials. How many, and in what form? Do they ring true? Do they contain details? Real clients don’t sing praises in generics, they tell stories. Does the hypnotist share their passion and their interest in hypnosis on their website through a “blog?” Does it seem to be a real blog or a fake blog? Does it have any original content, or just recycled stale articles written by somebody else that may or may not be on topic but have some keywords in them for the search engines? Do they create it themselves, or do they just pay some outsourcer $5 for silly entries like “What is a hug?” How frequently do they post? A blog (like mine here) is another indicator of passion. 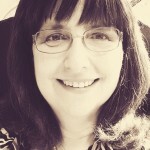 I LOVE hypnosis, I LOVE my blog, and I love writing and sharing my passion with you. More things to examine to find the perfect Seattle hypnotist. How long has a hypnotist been in business. If you can’t find any history, that’s a red flag. 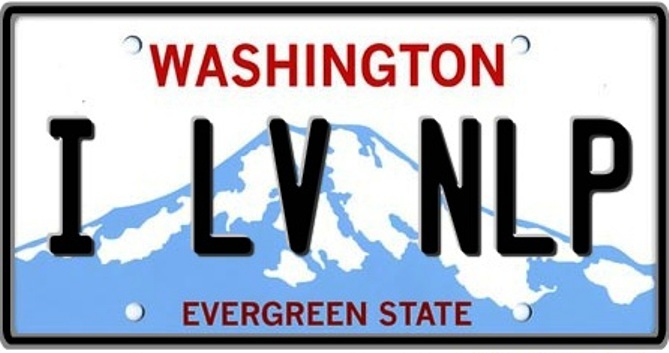 Are they registered with Washington State Dept. of Health as a professional hypnotherapist? To do business in our state, that’s a legal requirement. Are they an Accredited Business with the Better Business Bureau? This shows a dedication and commitment and adherence to ethical business practices. If they are with the BBB, what is their ranking? Mindworks Hypnosis & NLP is an accredited business with the BBB, with an “A” ranking. In any profession from auto mechanic to teacher to doctor to hypnotherapist, there are the “real deal” professionals and the also-rans. 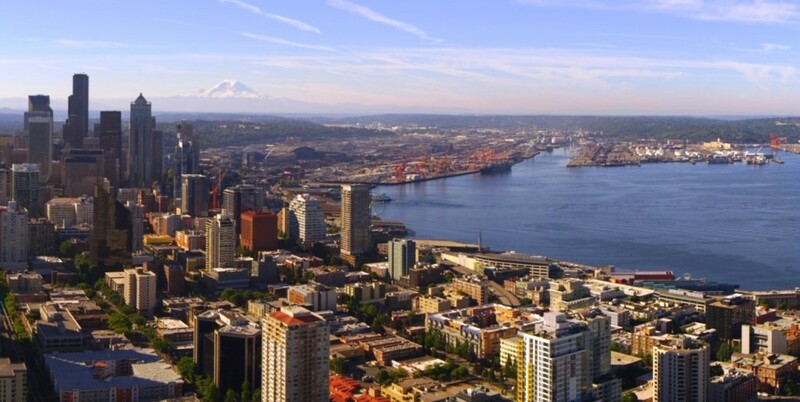 “How do I find a good Seattle Hypnotherapist?” Here’s one last tidbit to help you. TRUST YOUR UNCONSCIOUS MIND. I recommend meeting your prospective hypnotist face to face. Intelligence shines. Passion shines. Trust your gut as to whether or not this person can help you. If anything feels “off,” run for the door. Hypnosis works. Best in the hands of a skilled and passionate and professional practitioner. They’re out there. Me, for example. My husband, Michael, for another. Call us and meet us, check out our credentials, judge for yourself, and find the best hypnotherapists in the Seattle area. The Mad Hatter was On to Something! Expand the possibilities, with Mindworks Hypnosis. The other day I was re-reading parts of Alice in Wonderland, for pleasure. Lewis Carroll was a master of wordplay, which I enjoy. He was also a wise man. Absolutely, yes. What we believe to be true is or becomes true for us. This is a large piece of what I do with clients — we find new, better, more useful truths, and create and install them in the mind. The unconscious mind, with a truth in place, gives your life direction to achieving that, with nudges, pushes, noticing of opportunities, and forward momentum. For example: if a person believes that they can’t lose weight–they’re quite likely to achieve precisely that–NOT losing weight. If a person believes they are “not good enough,” they will engage in unconscious self sabotage to make sure they don’t succeed. If a person believes “nicotine is an addiction,” that makes it harder to quit smoking. Beliefs may be useful. “I can do it! This is easy!” Or they may not: “I’m lazy.” If there’s some belief in your life which should NOT be true, it can absolutely be changed. Let me help you to change it. If there’s something which should be more true, let’s do that. It’s all moveable furniture. Here’s to new ways of thinking in your life becoming the new realities of your life! Chalk up another win, two more non-smokers. K and G (a married couple) decided to quit smoking together. Fantastic. 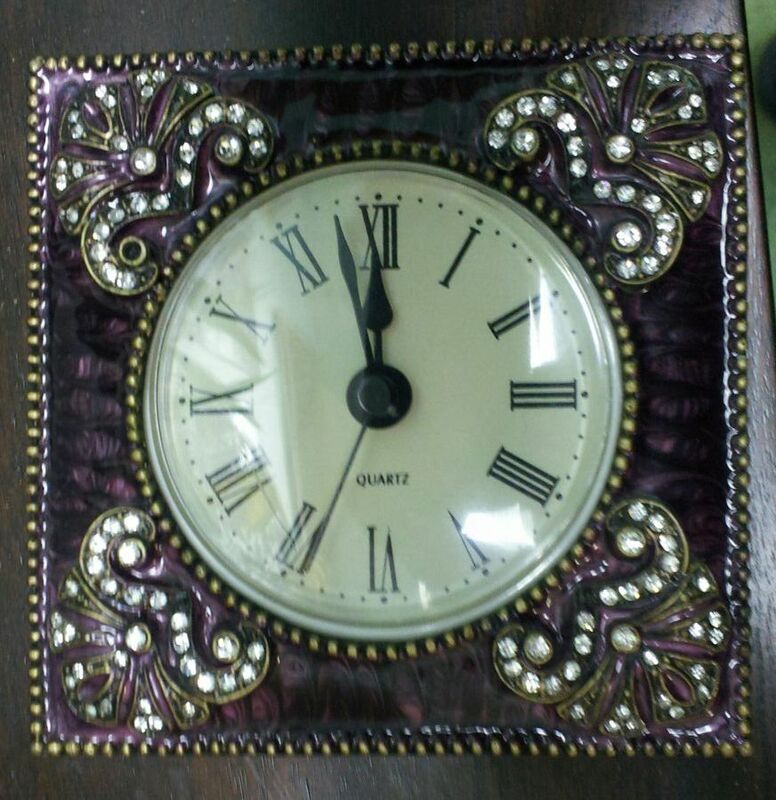 They came to Mindworks for hypnosis and Neuro Linguistic Programming services. More fantastic. They each had a single personalized private session. Yay, K & G! Terrific!! I see this success every day of the week so it has ceased to amaze me. But that word does figure prominently in the client testimonials I receive. “Amazing.” Yes, these tools are amazing. But there’s a caveat. 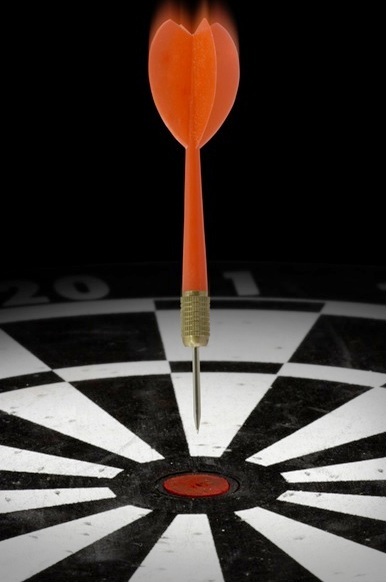 Success comes from hypnotherapy skillfully wielded. Buying hypnosis services is not like buying a can of peas. Well, they sell it here and they sell it over there. It’s all the same thing, so which is cheaper? That’s not a useful mindset when purchasing hypnosis—because the “it’s all the same” notion is false, false, false. Guiding a person “into” hypnosis is easy. It’s what you do and say after that which facillitates change. Hypnotherapy is a professional service, based on the creativity, native intelligence, passion, trainings, skill set, and life experience of the practitioner. It’s an ART. I love my art. And I’m damn good at it. That’s why my clients are continuously amazed. They had no idea of the power and potency of hypnosis. That’s because what I offer is a higher level of skill, passion and artistry and that makes me more effective than other hypnotists down the block. As one of my mentors told me, if it’s true, it’s not bragging. If you’d like some amazing success and positive changes in your life, it’s easy. Call! (425) 564-8608. Happy St. Patrick’s Day, Seattle! Celebrate Life with Hypnosis. Life is meant to be celebrated. On recognized holidays and everyday. Here’s wishing you a pot of good feelings in your life, today and beyond.